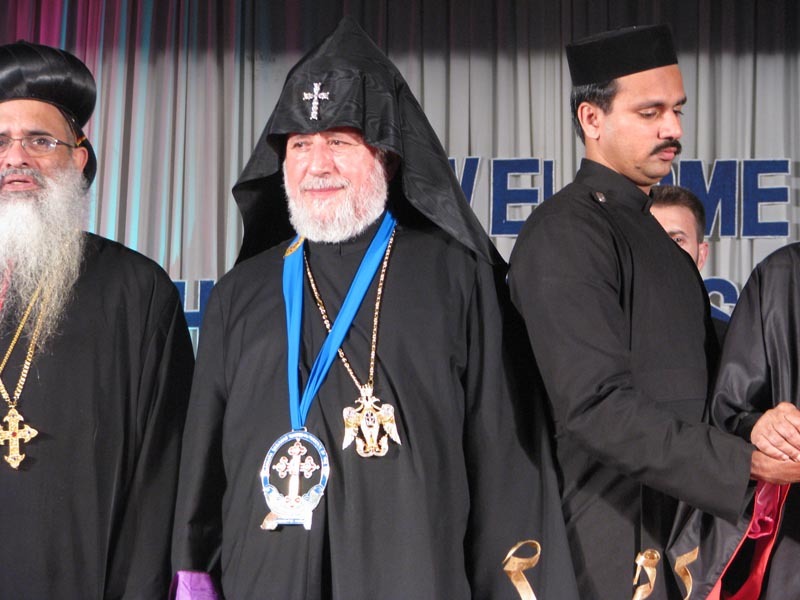 The Indian Malankara Syriac Orthodox Church disposes with a rather mysterious Order of St. Thomas. The information regarding the institution, organisation or any particular detail regarding that order is extremely scarce. 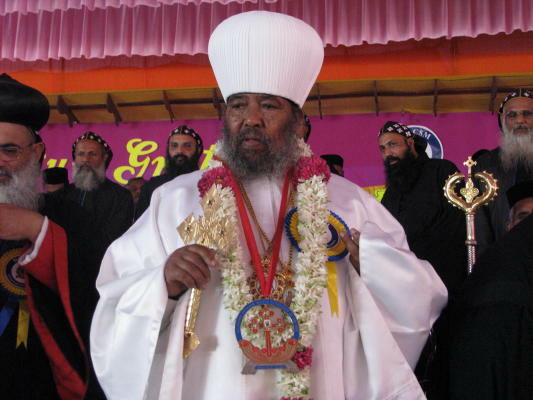 Not just that, but the badge of this extremely bulky and unusual award is seen being worn on a blue (the Catholicos of the Armenian Church), respective red (Ethiopian Abbuna) necklet. Why? Does anyone have any information regarding this order?